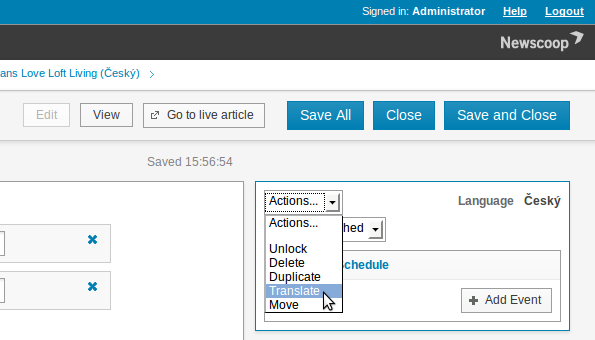 ...or by selecting the Translate option from the Actions drop-down menu at the top of the Sidebar. Either action opens a page which enables you to set a new Article name for the translated article. You must also set the Language of the translation from the drop-down menu of available languages. 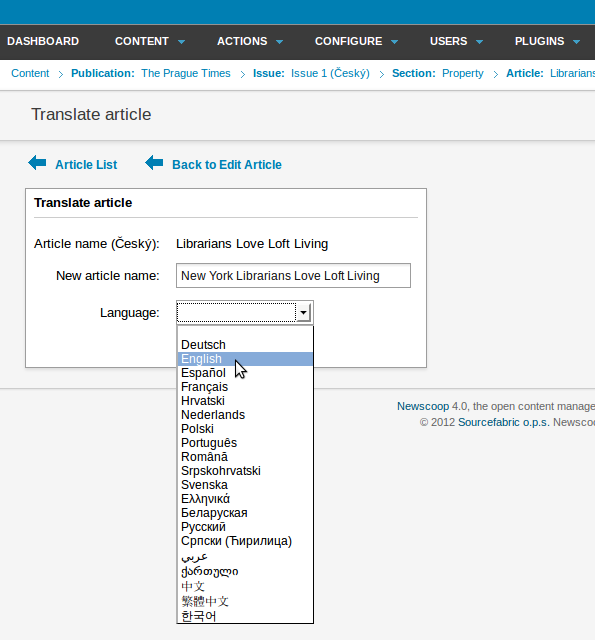 If the language you wish to translate into is not shown in the menu, see the chapter Languages for details of how to add a language to Newscoop. If the language which you are translating into does not have a suitable issue and section available, you will be prompted to create them. Enter both the name and URL name for each, if required, then click the Save button. 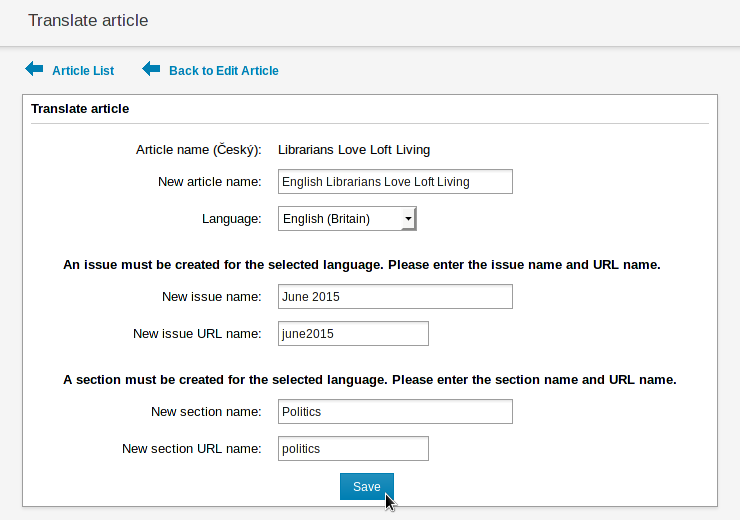 After this action, you will be directed to the Edit Article page for the new translation. When translating an article which contains a map, points of interest on the map are not displayed by default, as they may now be in the wrong language. 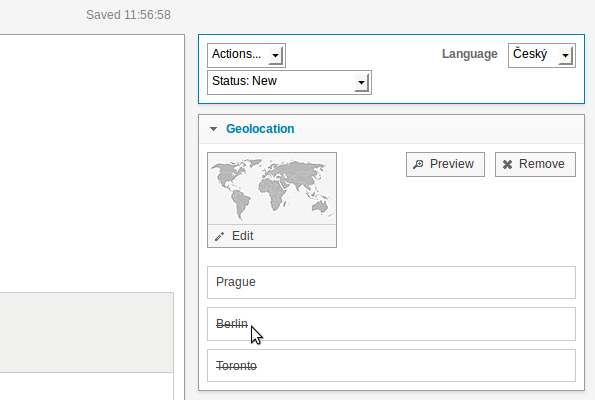 In the translated article, click Edit below the map picture in the Geolocation box of the Sidebar. Enter the translated name for the map at the top left of the pop-up window. 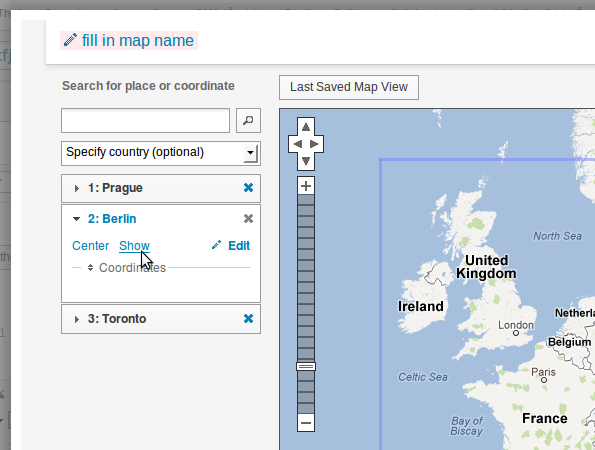 Below this, specify a country if you wish, then click the triangle for each point of interest to expand its box. Click Edit in this box to translate the name of the point of interest, if necessary, then click Show to display it to readers of your publication. 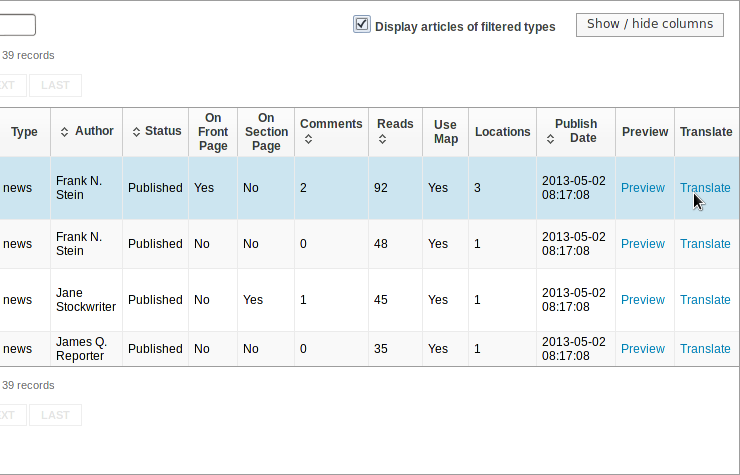 The names of any points of interest which remain hidden will be struck out in the Geolocation box of the Sidebar.